Like many great ideas, this one is so simple. 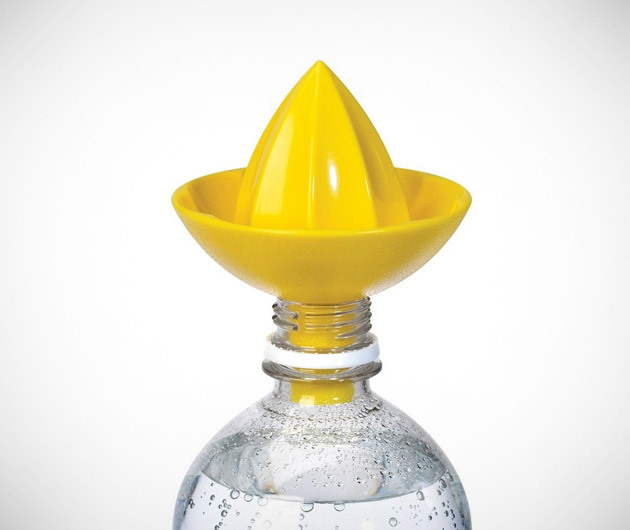 The Sombrero Citrus Juicer is the perfect way to add a touch of flavor - and vitamins – to your water. Plastic moulds in the shape and color of a lemon or lime fit perfectly into the top of most sized bottles and allow you to directly squeeze and juice fruit into the water below, totally mess and pip-free.